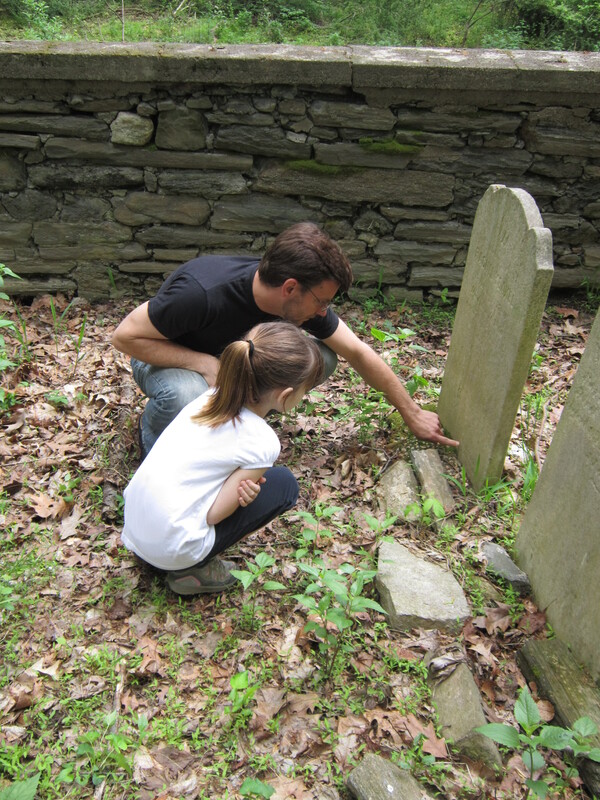 This Spring, a second round of tombstone conservation took place at Yeakel Cemetery. 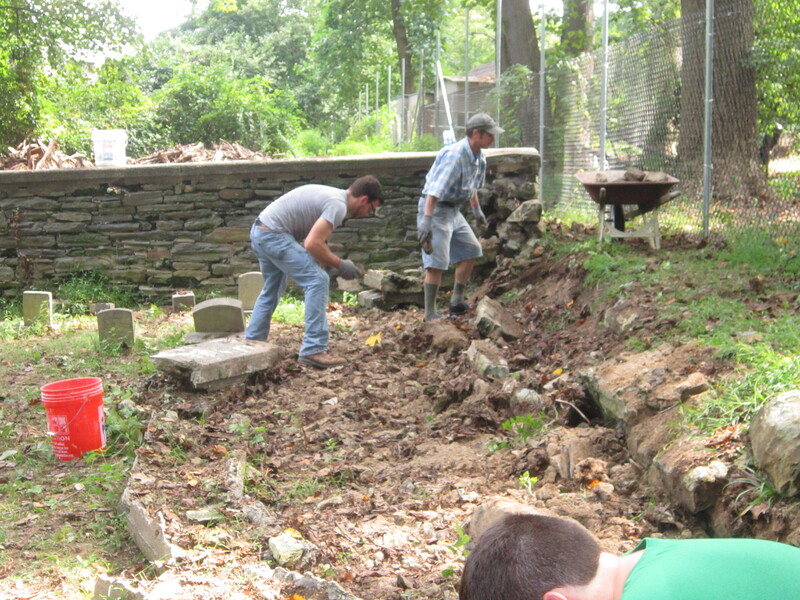 Kristin Cardi, of Materials Conservation Co., having just completed treatment of Ben Franklin’s grave in Old City, once again led a team of conservators, technicians, and volunteers at Yeakel Cemetery. 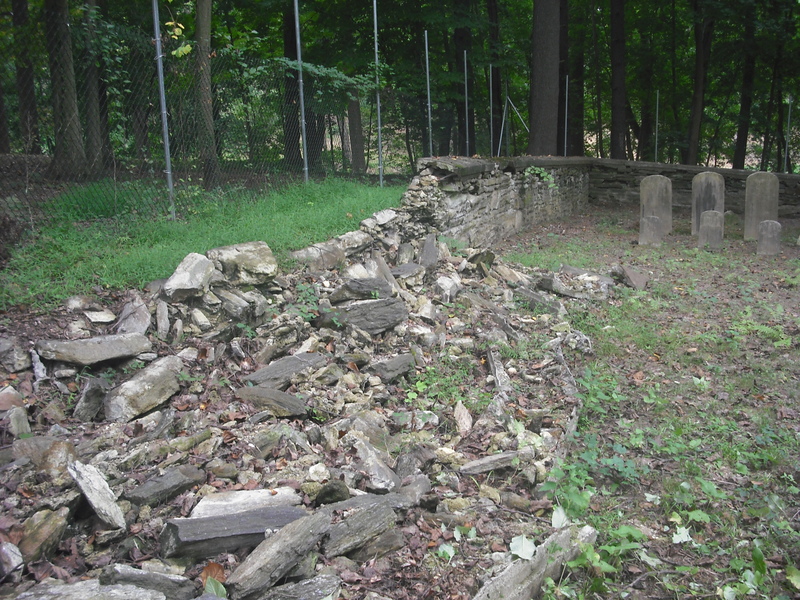 This time the crew focused on the Northern section of the cemetery. Many grave markers had fallen and some were separated from their bases. The team drilled out the old rusted iron rods and joined the stones to their bases using fiberglass dowels and epoxy. 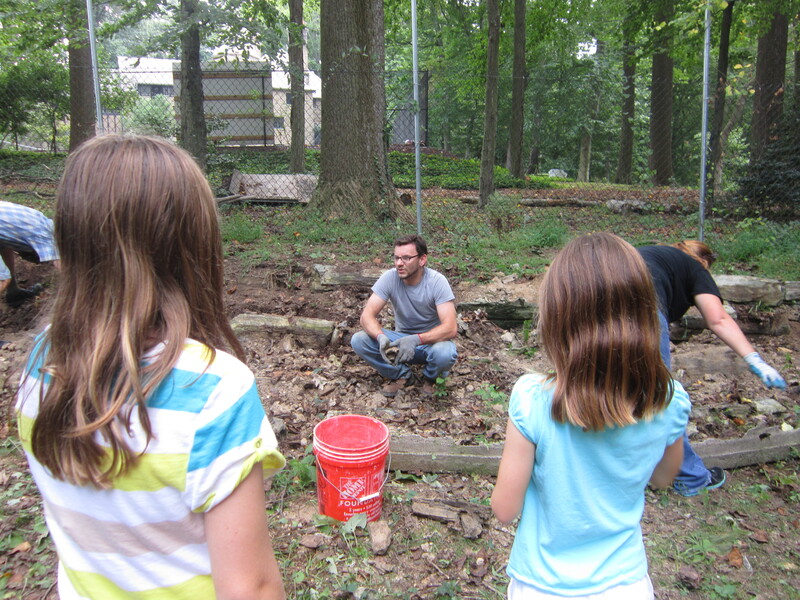 Foundations were excavated and prepared with crushed stone for drainage. 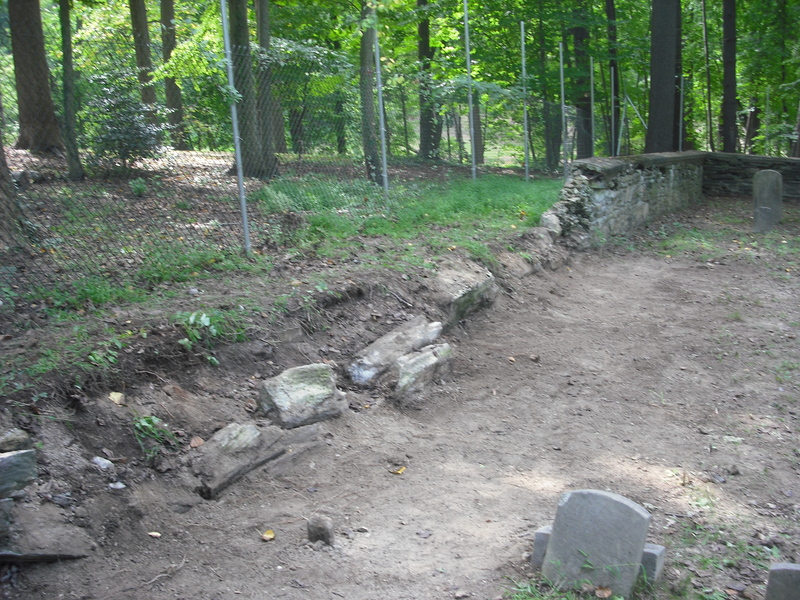 Then the assembled grave markers were reset level and plumb. 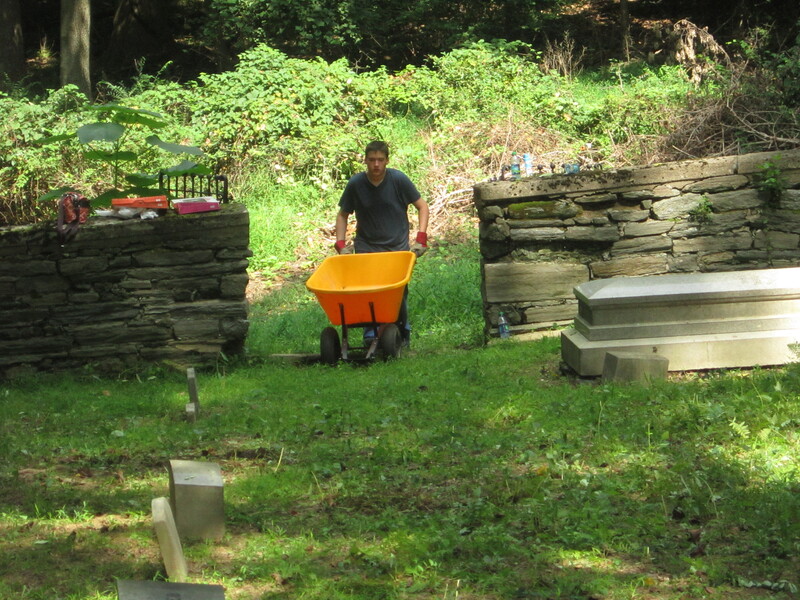 Finally, the tombstones were gently cleaned with a treatment of biocide. More than half of the monuments have received high quality conservation treatment and the cemetery’s appearance has improved dramatically in recent years but more importantly, the careful steps that have been taken will help ensure this place will be around for future generations to enjoy. Only one more round of tombstone conservation is needed to complete the cemetery. Help us continue our mission by making a donation. 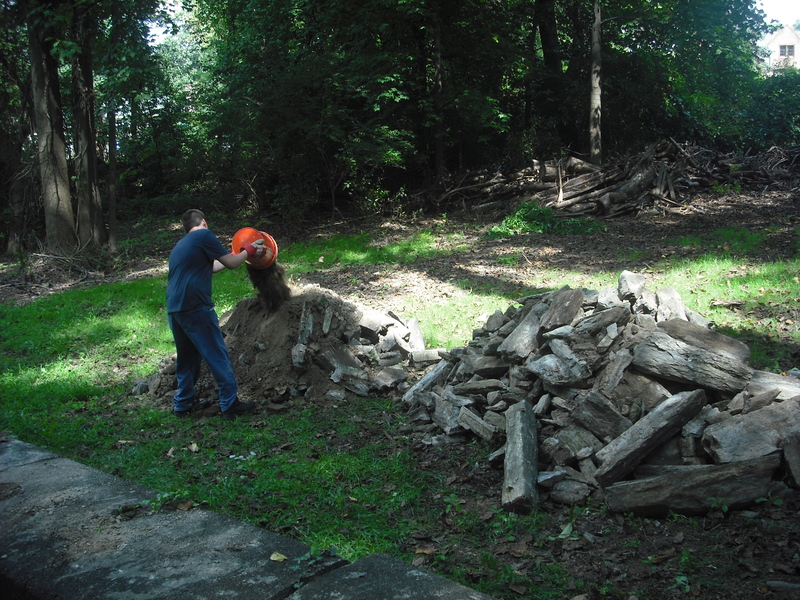 Finally, after several years of gathering proposals, fund-raising and site preparation, work begins on the tombstones. 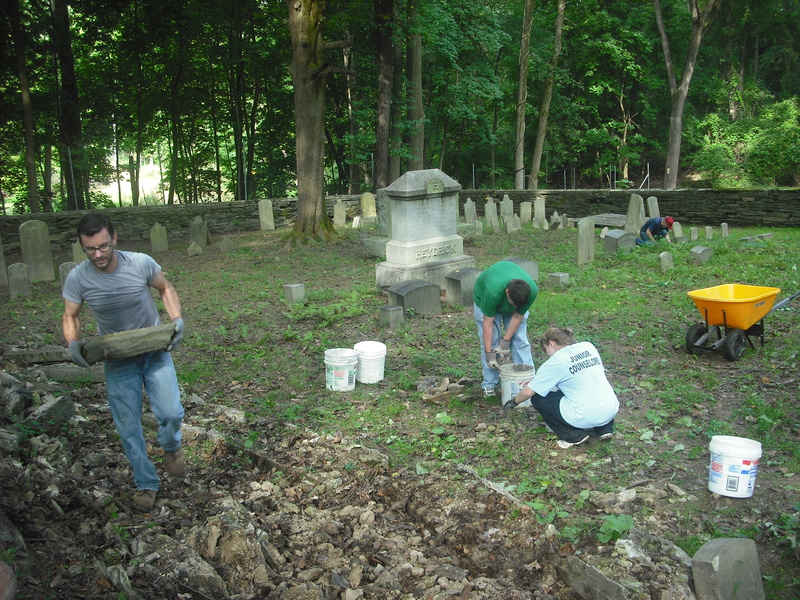 Kristin Cardi, of Materials Conservation Co., led the team of conservators, technicians, and volunteers that worked at the cemetery over the course of several weeks in October. 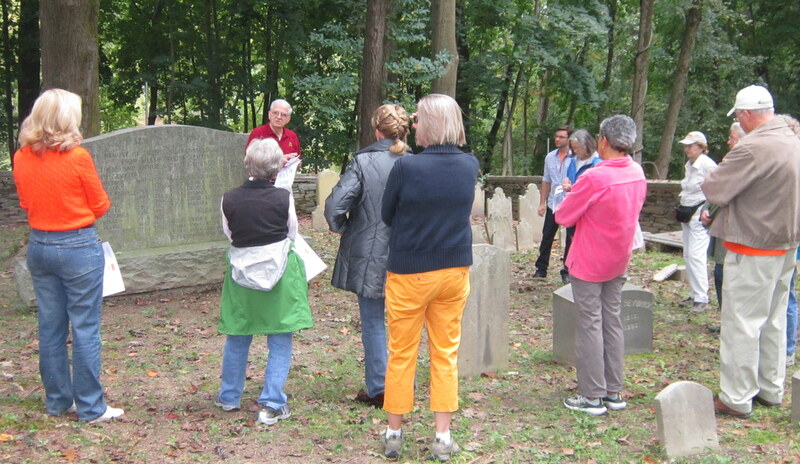 A treatment program was created based on priorities identified by both the Yeakel Cemetery Preservation Committee and Materials Conservation during multiple site visits earlier this year. Conservation treatments included resetting misaligned markers, mechanical repairs, grouting and filling areas of material loss, re-pointing open mortar joints, cleaning biological growth, and consolidating fragile markers. The work completed this October is phase one of a three-part treatment program that will address each monument. Phase two is tentatively scheduled to take place this Spring and, through the generous support of donors like you, funds will be raised this year for Phase three!